The accidental death of a loved one is overwhelming for any family. Unexpected loss, expenses and the concern for future security can seem unmanageable, both personally and financially. 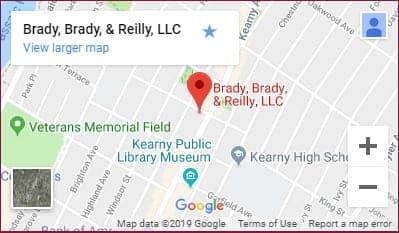 At Brady, Brady & Reilly, LLC, in Kearny, New Jersey, we understand the difficulties our clients face and take a compassionate approach to help them protect their rights and achieve the best possible outcome in a wrongful death claim. Immediately after an accident, it is important to work with an experienced legal team that can investigate your case, preserve evidence and protect your rights. Defendants and insurance carriers may seek to settle your claim for far less than it is worth. Our lawyers will work with experts, including accident reconstructionists and financial planners, to properly value your losses and work toward the best possible outcome in your case. Wrongful death cases, particularly high-value ones, can get complicated quickly. Our attorneys understand the challenges you face and will work toward an optimal outcome with minimal impact to your family. We will handle your case with dignity, discretion and compassion, always sympathetic to your needs. Our priority is to maximize your settlement or verdict so that you and your family recover the full compensation you deserve after negligent death. Free consultations · Evening, hospital and in-house visits · Spanish and Portuguese language services available · Se habla español · Call (201) 997-0030 or contact us by e-mail to arrange a case evaluation directly with a North Arlington fatal accident attorney.